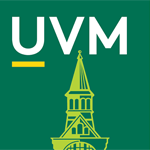 “I am deeply humbled to accept this designation on behalf of the University of Vermont’s Division of Student Afairs. While this recognition is a significant marker of achievement, we know there is still much work to be done. As a division, we acknowledge the institutionalized oppression and systemic racism that continues to manifest nationally, locally and on our campus. I continue to be sincerely grateful for the outstanding professionals in our division, who consistently push us to strive for greater equity and inclusion.